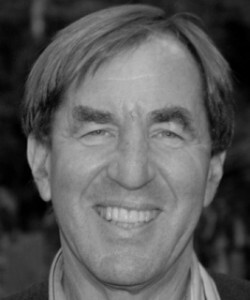 Dr. Robert Okin is Professor Emeritus of Psychiatry at the University of California at San Francisco School of Medicine. He has served as an expert consultant with DRI for almost 20 years. A leading psychiatrist and internationally known expert on mental health service reform, Dr. Okin is a member of the board of advisors of Disability Rights International. He served as DRI’s lead psychiatric expert on technical assistance projects and investigative missions for almost 20 years in Armenia, Azerbaijan, Hungary, Mexico, Paraguay, Peru, Romania, Turkey and Ukraine. Following the release of DRI’s report on Mexico in 2000, Dr. Okin served as an expert consultant to the Mexican government and helped close the abusive Ocaranza psychiatric facility in the state of Hidalgo, replacing it with more homelike settings and community-based services. In Paraguay, Dr. Okin helped DRI negotiate a historic settlement agreement through the Inter-American Commission on Human Rights. As part of the settlement in 2005, Paraguay agreed to a number of improvements in its treatment of the mentally ill, including restructuring the national mental health service system, creating community services, and downsizing the country’s main psychiatric facility.